ST. LOUIS, Mo. 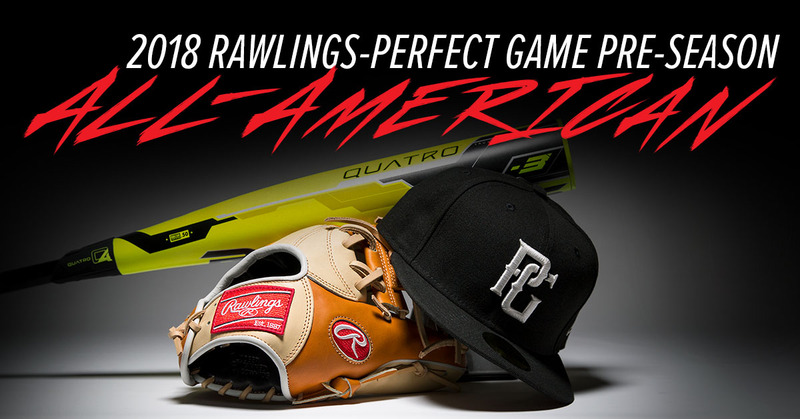 – March 22, 2018 – Rawlings Sporting Goods Company, Inc., a subsidiary of Newell Brands (NYSE: NWL) and Perfect Game, announced today its annual Rawlings-Perfect Game Preseason All-American and All-Region Teams to recognize the top senior high school baseball athletes in the U.S. The annual teams highlight Rawlings’ and Perfect Game’s commitment to high school athletics and next-level players nationwide. The Rawlings-Perfect Game Preseason All-Region selections comprise players from nine regions around the country. Rawlings-Perfect Game Preseason All-American honorees are the top 150 players from the All-Region pool. Each recipient is named on one of three, 50-man roster national teams. Rawlings Sporting Goods Company, Inc. is an innovative manufacturer and marketer of sporting goods worldwide. Founded in 1887, Rawlings is an authentic global sports brand, trusted by generations of athletes from the sandlot to the pros. Rawlings’ unparalleled quality and expert craftsmanship are the fundamental reasons why more athletes choose Rawlings, and why Rawlings is the Official Batting Helmet and Ball Supplier of Major League Baseball®, the official baseball of Minor League Baseball™ and the NCAA®, and the approved baseball, basketball, football, and softball of the National High School Federation®. For more information, please visit www.rawlings.com or call (314)819-2800. Jonah Denardis C Mississauga, ON Ecole C.S.S.